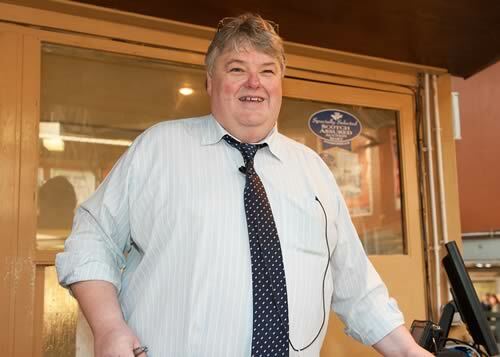 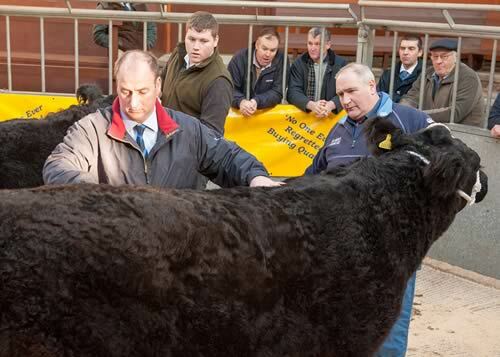 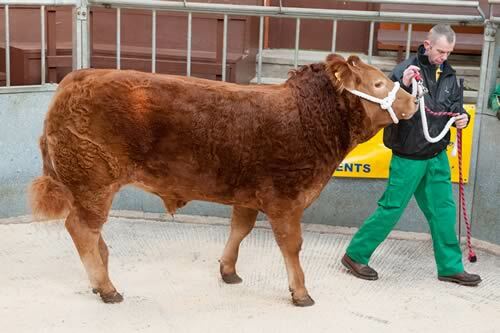 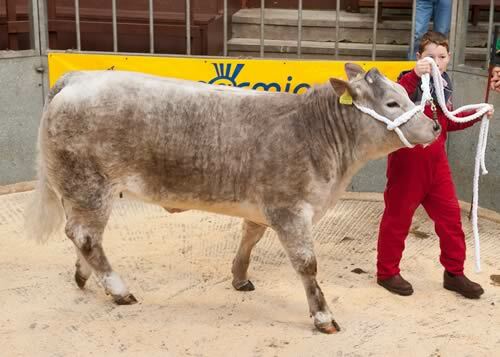 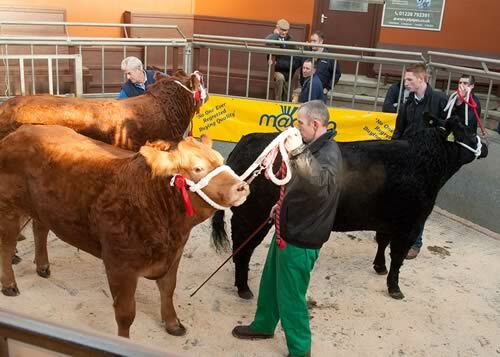 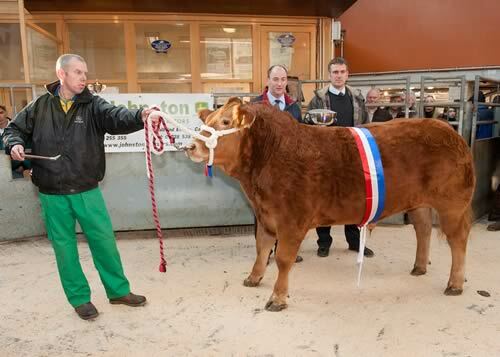 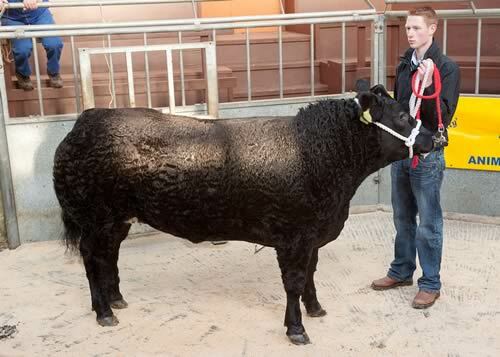 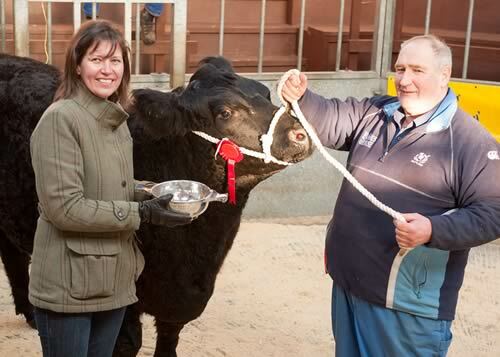 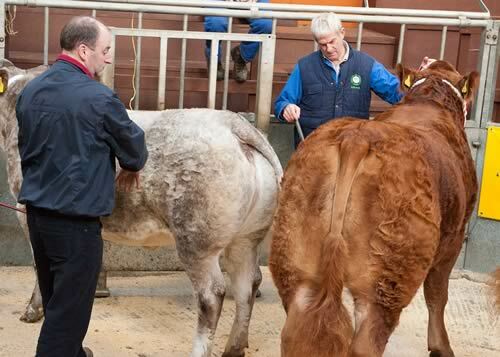 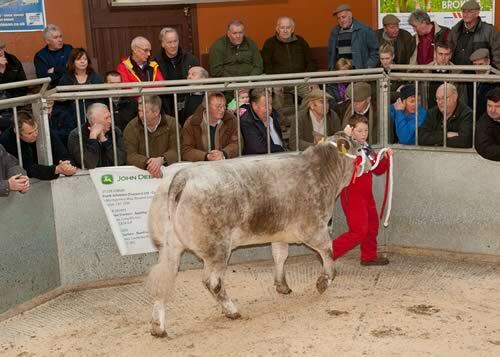 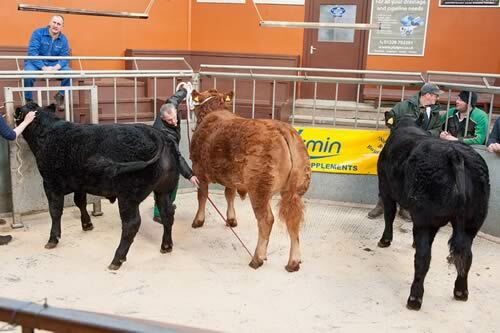 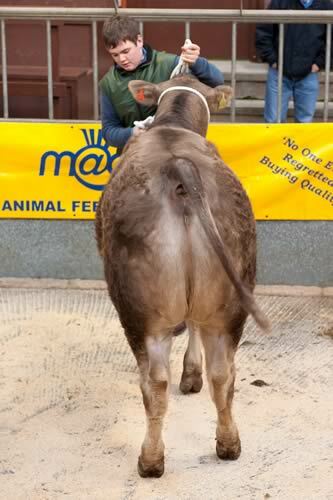 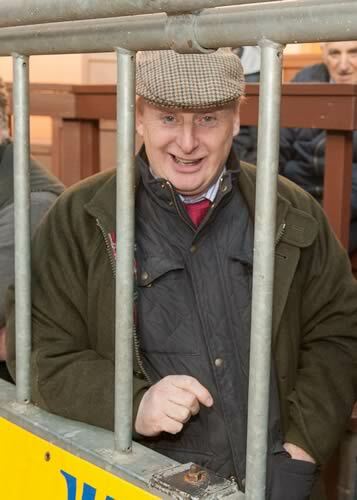 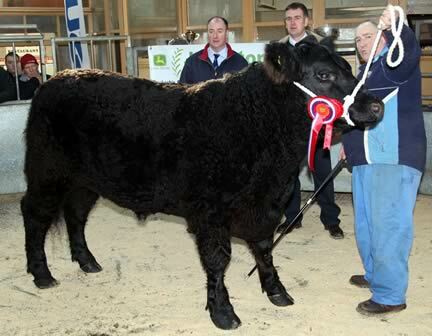 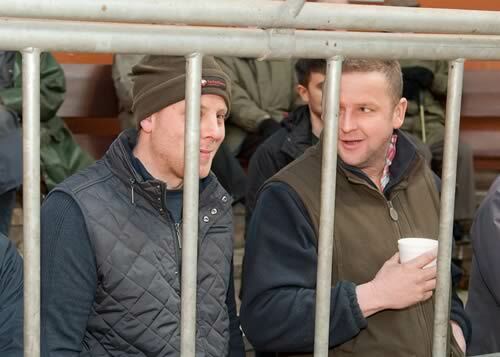 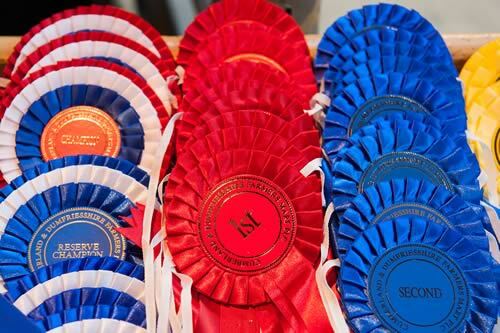 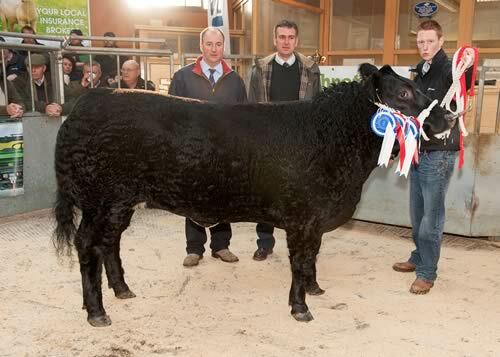 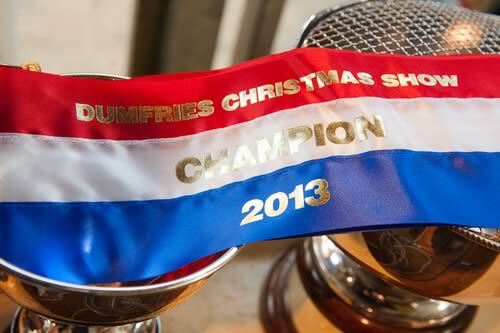 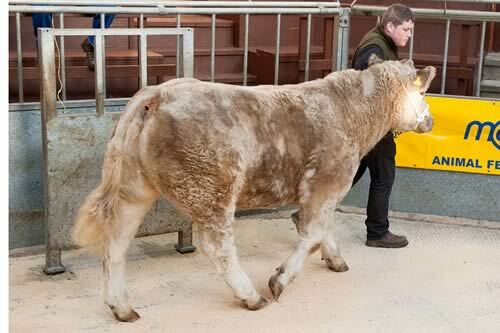 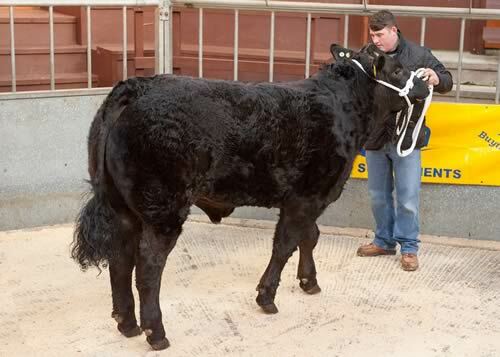 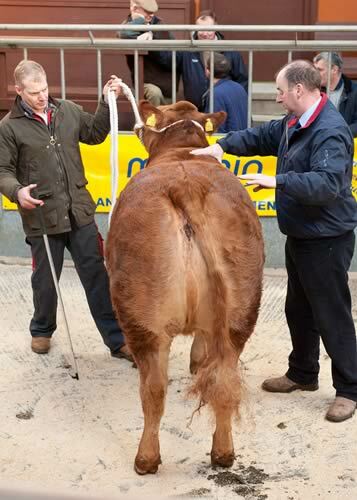 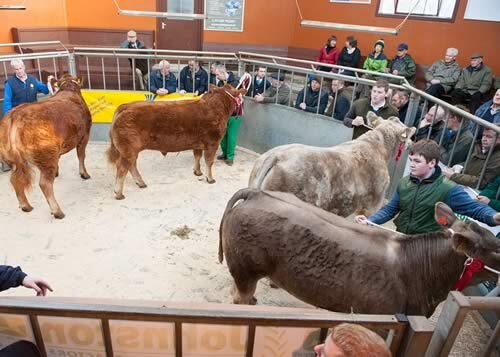 The Cumberland & Dumfriesshire Farmers Mart held their Annual Christmas Show & Sale of 46 Prime Cattle in Dumfries on Wednesday 4th December 2013. 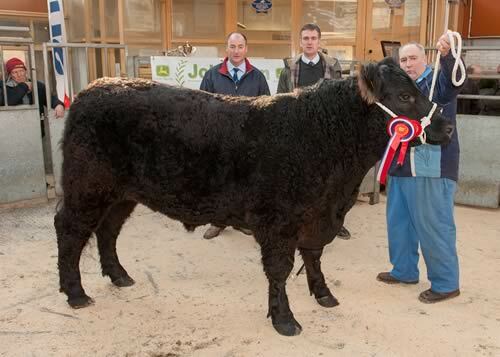 A Grand selection of Prime Cattle was presented to J Scott of Johns Scott Meats (Paisley) Ltd who found his Champion in a Home bred 18mo Limousin Bullock 'Red Alert' from regular consignor J & L Craik, Waterside which sold at 360p (£2052.00) to John Scott Meats (Paisley) Ltd. 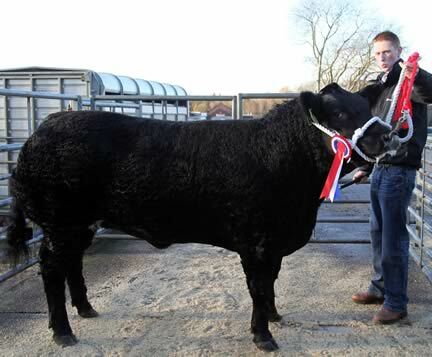 The Reserve Championship was awarded to A & A Ewing, Dumbretton with a 17mo Black Limousin Heifer which made 300p (£1830) to C Anderson. 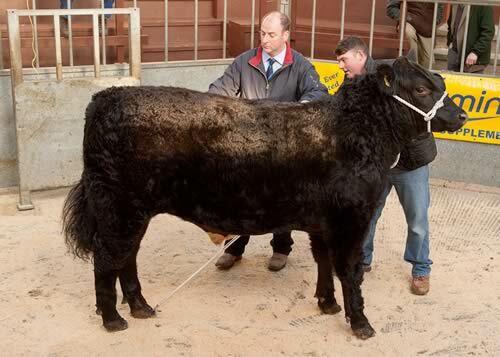 Best Galloway Rosette and Todstone Quiach was won by Klondyke Farms, Shancastle which sold at 300p (£1785) to Local Butchers Galloway Quality Meats Dumfries. 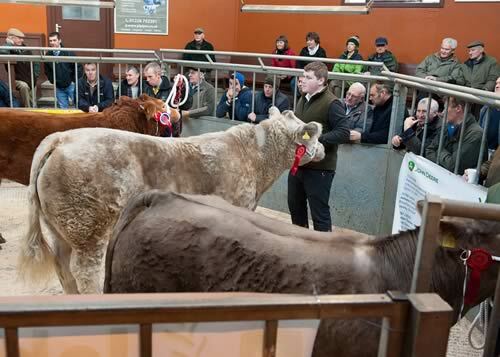 77 OTM Cattle – Beef cows met spirited bidding whilst leaner Dairy Cattle continue to meet limited demand. 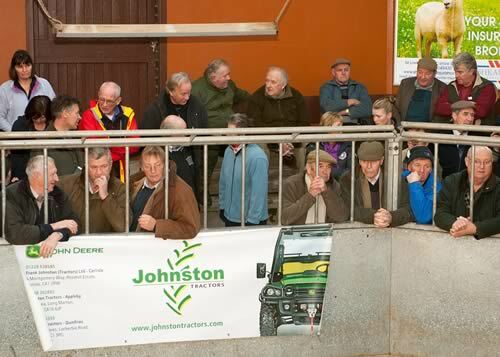 926 Prime Lambs Forward – a mixed bunch for quality selling to a top of 191p for Texel Crosses from JDM Thomson, Newlands. 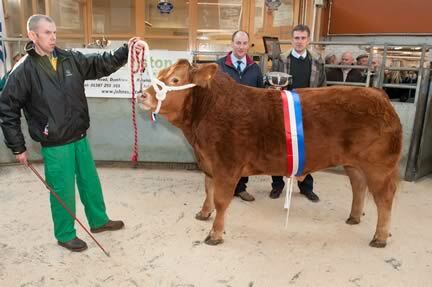 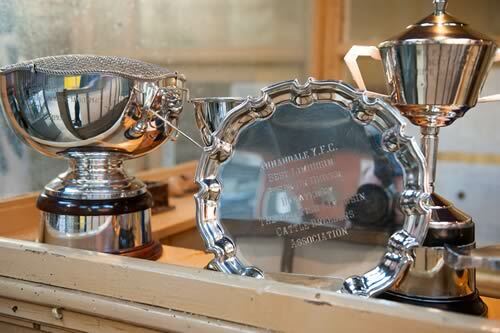 Top Price per Head was £82.50 for Suffolk Crosses from Miss Williamson, Whinnyhill. 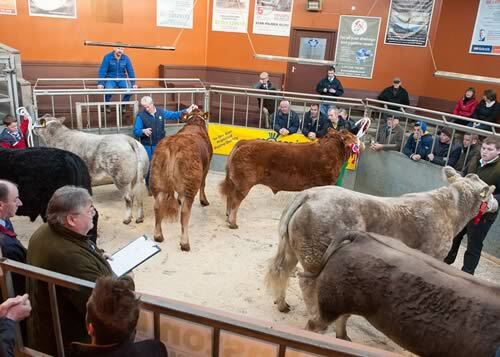 Overall average 167.1p. 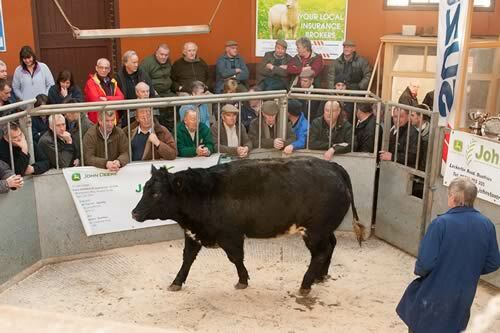 482 Cast Ewes & Rams forward – Trade similar for Heavy Ewes but lighter plainer sorts & Cast Rams sharper on the week.